The Morro Bay City Council plans to remove one of its planning commissioners at a special meeting on Oct. 23 due to a heated exchange that took place during a recent public meeting. At the Sept. 26 City Council meeting, Planning Commissioner Richard Sadowski was speaking during public comment about the Morro Bay Water Reclamation Facility when city Mayor Jamie Irons cut him off before his allotted three minutes were up. OUSTED? The Morro Bay City Council plans to remove one of its planning commissioners at a special meeting on Oct. 23. Irons asked Sadowski to step down, but instead Sadowski continued to comment, which caused the crowd to erupt and the police chief to interject. Sadowski told New Times he believes that Irons interrupted his comments because he was being critical of the city's process for choosing the water facility's location. "I was speaking in defense of the residents of Morro Bay in terms of the threat the current project plans pose to their financial well-being," he said. Irons did not respond to New Times' request for comment before press time. At the September meeting, the city needed to settle on a location for the $150-million wastewater treatment plant and water reclamation facility. The council ended up choosing a 15-acre site near the intersection of South Bay Boulevard and Highway 1; while it's the most expensive, the location avoids environmental hazards. Days after the Sept. 26 meeting, Sadowski said City Councilmember Robert Davis contacted him—using his personal email—to set up a meeting outside of work to talk about the planning commission. It was at this meeting, Sadowski said, that Davis asked if he would be willing to voluntarily resign from the Planning Commission. Davis declined to comment to New Times but said, "I honor the integrity of private and personal conversations and consider them confidential." Sadowski also met with the former interim city manager, Martin Lomeli, who declined to comment to New Times. However, Lomeli did tell The Tribune that he suggested Sadowski consider resigning "because of his actions not his words." "I believe as a commissioner he should set an example of public discourse, and [in my opinion] his behavior was disruptive at that meeting," Lomeli said in the Tribune article. 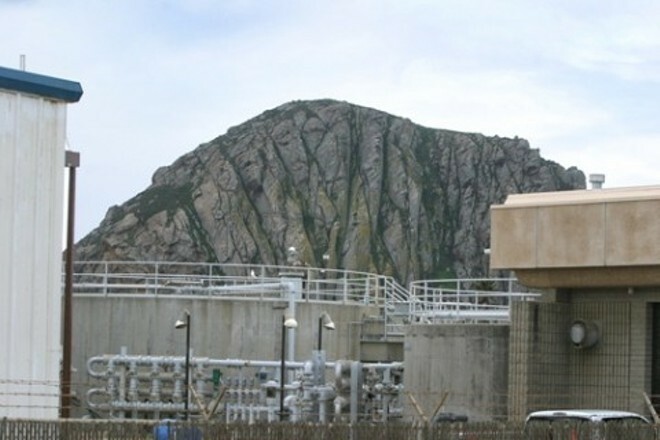 Morro Bay can now move at full speed to begin the environmental review process for its new water facility in order to secure grants and a low-interest government loan from the U.S. Environmental Protection Agency. The city was selected to apply for the $82 million loan in July. To meet the deadline of July 2018, the project must have a completed environmental review.